This entry was contributed by Margaret Henderson on February 18, 2016 at 1:29 pm and is filed under Leadership Development, legacy, Organizational and Personal Leadership. As a subset of the American population, Baby Boomers focused on success in the workplace and were competitive there. They also made significant change happen in society. Does anyone wonder how that immense capacity for competition and implementing change might be manifesting in retirement processes? After all, other rites of passage in life (pregnancy, marriages, parenting…) and rules of engagement in society (diversity and inclusion, sunshine laws, etc.) were re-evaluated and re-designed by the Boomers. 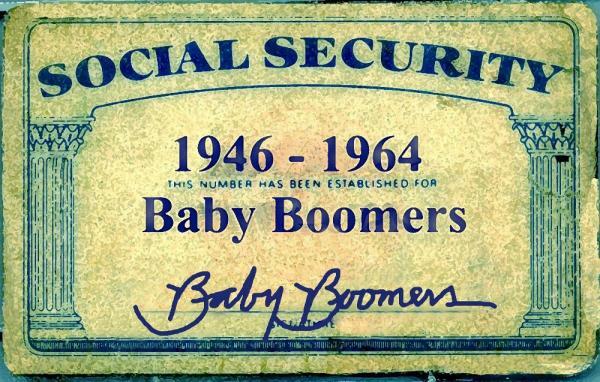 Boomers accumulated power and influence, and they used it. What will happen now that they are thinking about their legacies? Let’s hope they will use the Force of the Boomers wisely. In addition to wondering, “what will I do in retirement?” or “who will I be if I am not a [Director][Manager][CEO]?,” some are also considering the significance of their careers. The places to ponder these conversations can range from informal conversations with close friends to a strategic meeting with a development team planning a fundraising effort. How should Boomers consider their legacies, given that they have demonstrated success in making change happen? Is there any chance that our ego needs (succinctly described as “I want to matter”) might trump other considerations as we approach retirement? While a few people might be remembered for single heroic (or foolish or criminal) acts, for most of us, our legacies are cumulative. They are defined by how we have been showing up for decades, not by what we might do in the twelve months prior to walking out the office door for the last time. Consider our reactions to the celebrities who died as we turned the corner into 2016. David Bowie turned out volumes of bold music, and he made lots of us uncomfortable with his presentation of gender fluidity. Innovation is his legacy, and it included both hits and misses. Alan Rickman is a role model for anyone drumming up the courage to follow a unique passion later in life (he started acting in his 40’s) and had a solid career with a wide range of roles – playing the villain, the romantic, or the wizard. His legacy is the demonstration of his craft with unassuming excellence wherever he turned up. Solid, not showy. How are others likely to describe your legacy? How much of that description would you recognize or value? How would you prefer to describe your legacy, whether in behaviors, processes, or achievements? Does your legacy have to have your name — or just your fingerprints — on it? What are your fears about your legacy? If you are considering one last hurrah of an effort to define your legacy, the equivalent of David Bowie’s final album, which happened to be released on the date of his death, what should you consider? What factors are driving the project or effort, independent of your retirement? Does the project need to happen anyhow, or is the opportunity of using your departure to make it happen the driving force? From where does the interest in this effort originate: from you, your organization, or your community? What if your name is attached to the project, and it succeeds? What if it flounders or fails entirely? Baby Boomers know how to make things happen, and they have access to the resources and authority that change processes require to succeed. As we all approach retirement and the redefinition of our lives that follows, let’s be sure to recognize when our ego needs show up. In the public sector, we have a responsibility to align any new legacy projects with the interests of our organizations and communities, just like we did in our daily work for all of those years. Let’s continue to lead with integrity, even as we are leaving.